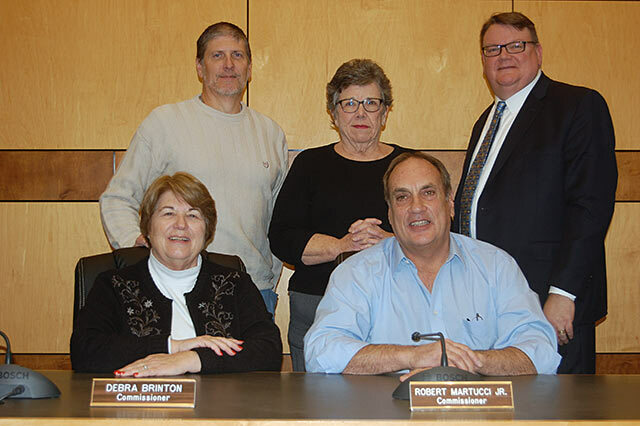 Presently, the Salisbury Township Board of Commissioners consists of Robert Martucci, Jr. (President), Debra Brinton (Vice President), James Seagreaves (President Pro-Tempore), Joanne Ackerman and Rodney Conn. The members’ contact information, term expiration and Wards are listed below. Commissioners serve four-year terms, elected in two staggered election cycles. Commissioners for Wards 1, 3, and 5 are elected during the same cycle, as are commissioners for Wards 2 and 4 this guarantees that all five will never be up for election during the same election cycle. The Board elects a President and Vice-President from within to preside over Board meetings; however all members have equal legislative and voting power. All votes on matters such as resolutions, ordinances, motions and policies require a majority of those members present at a meeting in order to pass. For example, at a meeting with all five Commissioners present, a vote of 3-yes and 2-no would be sufficient, or if only three Commissioners are present, a vote of 2-yes and 1-no would be sufficient to pass the motion. However, the appointment of a Township Solicitor or Township Engineer requires a majority of the members to pass (i.e. three or more “yes” votes).